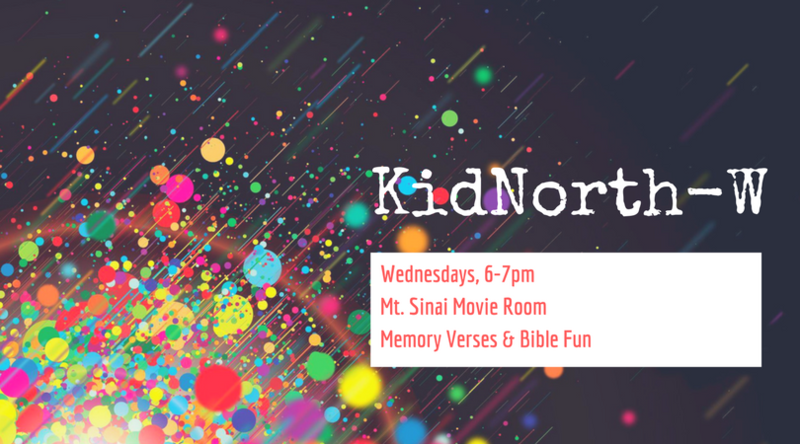 Kid North is the Wednesday Night Ministry for all K-5th grade students. It is a great time to be a kid, have fun, and learn about Jesus and so many stories in the Bible. Join us from 6-7p in the Mt. Sinai Movie Room on Wednesdays! For more information, contact Leslie Bowers at lbowers@northbrookumc.com.